David Nelson’s Squimpish Hair is a bright light in my never ending quest for perfect tying materials. 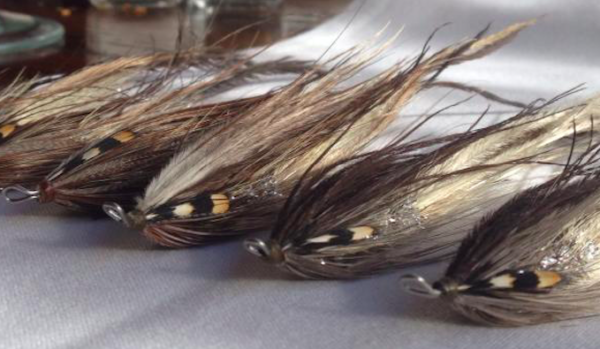 If fly fishing is a fanatical sport, then fly tying is it’s way more obsessive cousin. 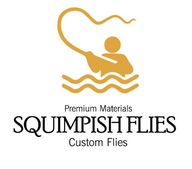 After watching David tie at the fly fishing shows over the years and personally working with Squimpish family of fibers, I can say that most of what he offers is perfect material. I was instantly impressed with the natural appearance and very long length, properties that lend themselves so well to streamer patterns. The available array of colors covers a broad spectrum of bright attractor colors as well as a myriad of earth tones. The fibers themselves possess a shine and translucency, characteristics that are elevated in the water. The slender nature of the individual fibers allows for flowing movement when swimming in the water. Personally, I have had great results using Squimpish Hair for hollow ties. I get the bulky profile I need with not too much material and the movement is pretty exceptional when stripped. David and Stephanie Nelson are Squimpish Flies. Together, they are now offering their widest array of products with 40-50 different colors of hair and fur. 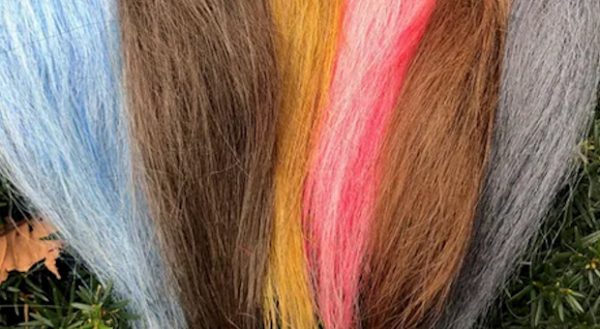 In addition to their hair and fur, they offer boutique blends which are blends of hair fiber mixed with flash and other accent materials. 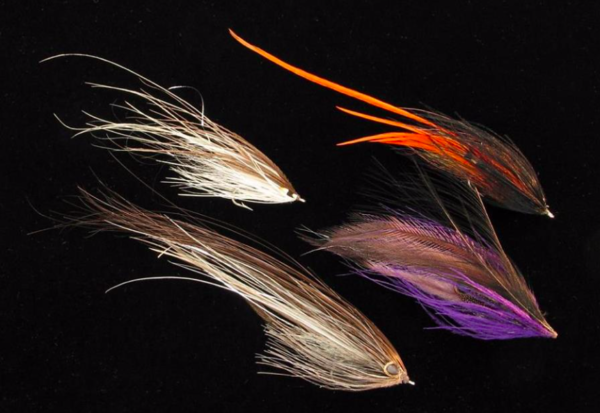 If you are a fan of tying streamers, you owe it to yourself to try these materials. Better yet, go meet the Nelsons at one of the Fly Fishing Shows and watch David tie. 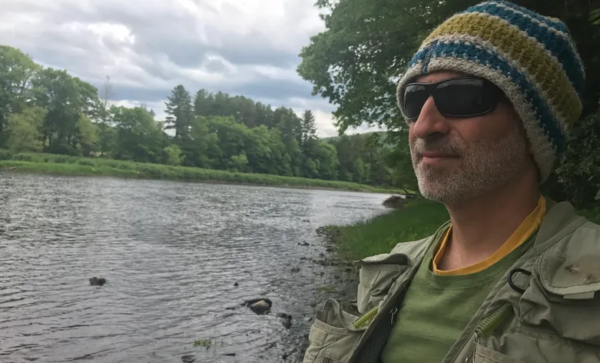 He is knowledgeable and friendly and a force of good in the fly tying universe. Squimpish materials will be in my arsenal always or as long as Dave and Stephanie’s “public service” continues to supply my fiber obsession.